We only rent the best Dunk Tanks available. 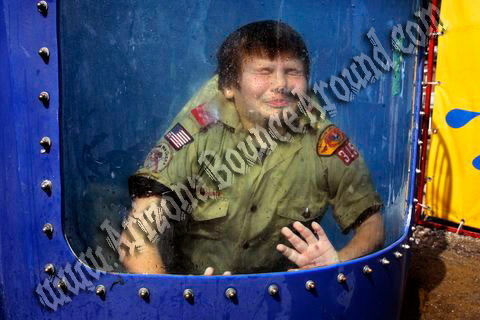 All of our Dunk Tanks have no climb aluminum safety cage to protect the person in the Dunk Tank, a window to see the people get dunked and have a 350 Gallon tank. 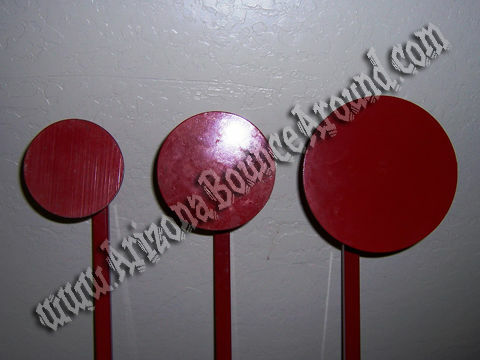 Our Dunk Tanks come standard with a 6" target. 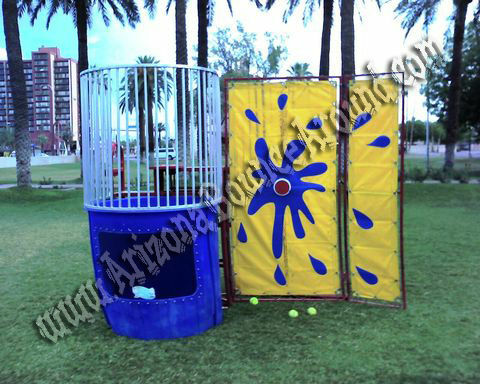 If you would like to have a different size target for your Dunk Tank rental in CO please request when ordering as only 1 size will be delivered. 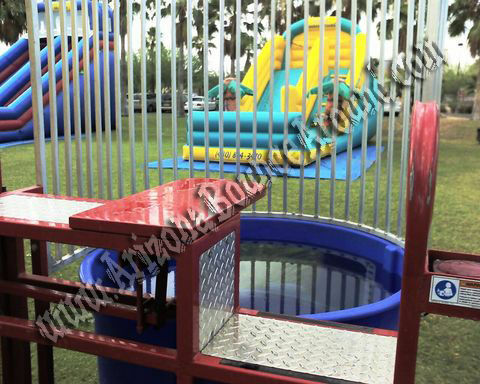 Rent a quality Dunk Tank in Denver, Colorado Springs, Aurora, Fort Collins, Lakewood, Thornton, Arvada, Centennial CO for your next party or company event from Gravity Play Events.